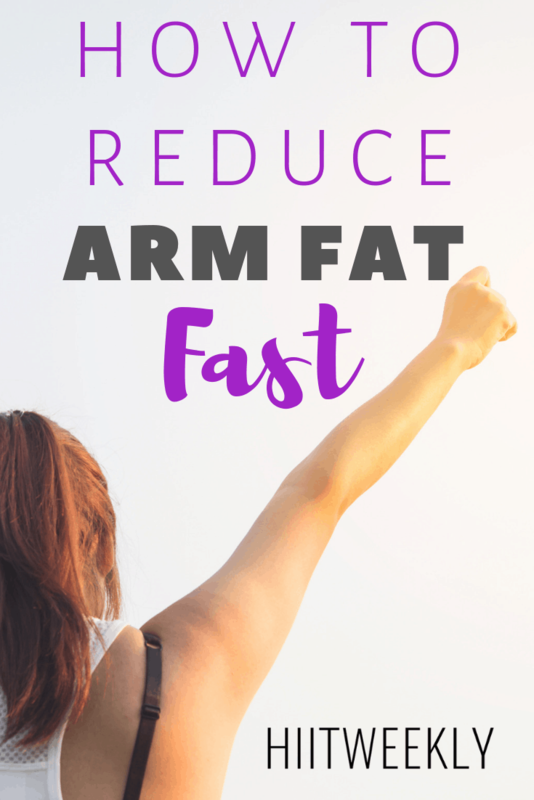 How to reduce arm fat fast is a question I get regularly as a trainer. 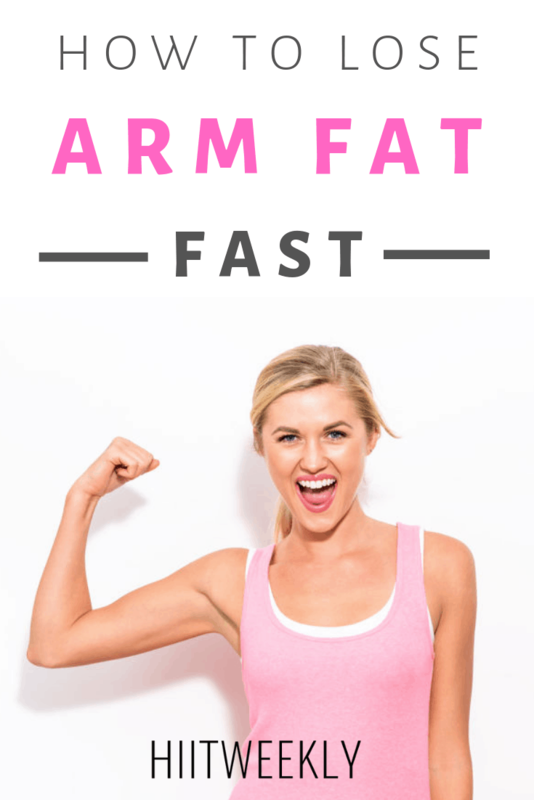 There are two ways to reduce your arm fat to get the sleek tight and toned arms that you want, the second of which is an expensive operation so we will focus on how to lose arm fat through diet and exercise, the fast way. Women naturally store fat on their triceps (the back of your upper arm), for some it’s more than others. The reason that you may be storing arm fat could be a hormone imbalance. Too little testosterone and too much insulin. Losing weight and reducing your carbohydrates will help combat the insulin issue and exercise will help increase your testosterone levels as well as directly targeting your arm muscles for a tighter toned look. Therefore to lose arm fat fast you must do two things in tandem for super fast results, diet and exercise. To lose arm fat fast you need to focus on losing weight in general as you cannot spot reduce fat and you cannot turn fat into muscle, you just have to focus on losing weight all over and it will come off your arms. This is mainly done through tidying up your diet and what you eat. I would start by downloading our 7 Day Clean Eating Plan below. It’s totes free and will give you the tools needed to lose fat fast. Simply put its a low carb diet whilst being pretty low in calories also but not dangerously, it’s around 1500 cals. To add to the diet make sure you drink plenty of water to help to help flush your system and maintain a healthy hydration level. You should aim to do workouts that target your arms as well as the rest of your body. You do want to work on your arms so they become tighter and firmer however the arm muscles are very small and worked alone will not burn many calories, therefore its best to combine upper and lower body exercises in a HIIT workout for best results. Notice how you are doing 3 days of just walking, 2 HIIT workouts and 2 Arm specific workouts. The HIIT workouts will see you burn extra calories through to your “rest” days as they are designed to raise your metabolism for up to 72 hours after the workout. Click the workout to be taken to the workout. You’ll then do an arm specific workout to target the muscles of your arms and shoulders. This is the workout that will work to tighten and tone your arms. Combining your arm and HIIT workouts like this with fat burning walking will yield the best results. Do this over the next few weeks to start seeing fast results. Continue it over the coming months and you’ll start to see some huge changes in your body. The 2 Week Diet might be something that can help if you need results fast, within 2 weeks. Its a weight loss program that promotes fast weight loss through diet and exercise. It’s helped thousands of people like you lose weight and transform their bodies. Check it out here to see if it’s something that could work for you.